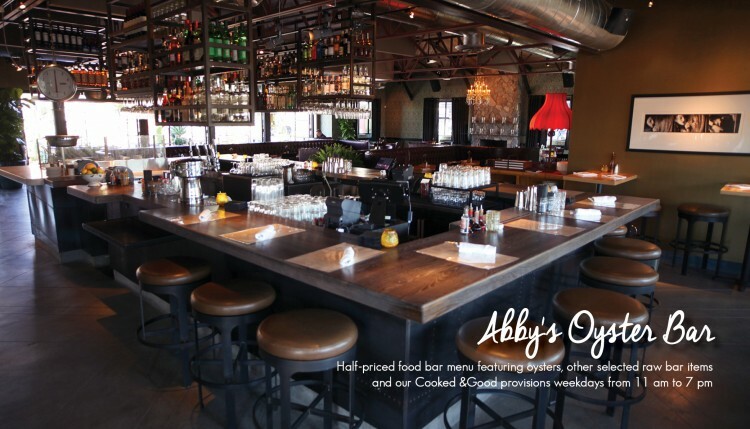 Buck & Rider, a seafood eatery from the team at LGO Hospitality, is excited to announce a new weekday Happy Hour in Abby’s Oyster Bar. From open to close, Monday through Friday, enjoy a half-priced food bar menu featuring daily oysters, other selected raw bar items, featured sushi rolls, and our Cooked & Good provisions (such as baked oysters, snapper ceviche, Dixie picnic chicken and more). The full menu is displayed in the bar area on two large felt boards. In addition to the food, Buck &Rider and Abby’s Oyster Bar also features $6 signature cocktails, house pours and selected wine and beer by the glass. The drink specials during happy Hour are available in the entire restaurant. Buck & Rider, a seafood eatery, and Abby’s Oyster Bar focus on a fun vibe, young attitude and clean line up of food and drink. Fresh oysters and other raw bar items are flown in daily. The menu also features fresh, never frozen seafood, farm fresh salads, and classic desserts from LGO Bake Shop (come try the new banana cream pie). Brunch is also served during the weekend.